NEW ARRIVAL! 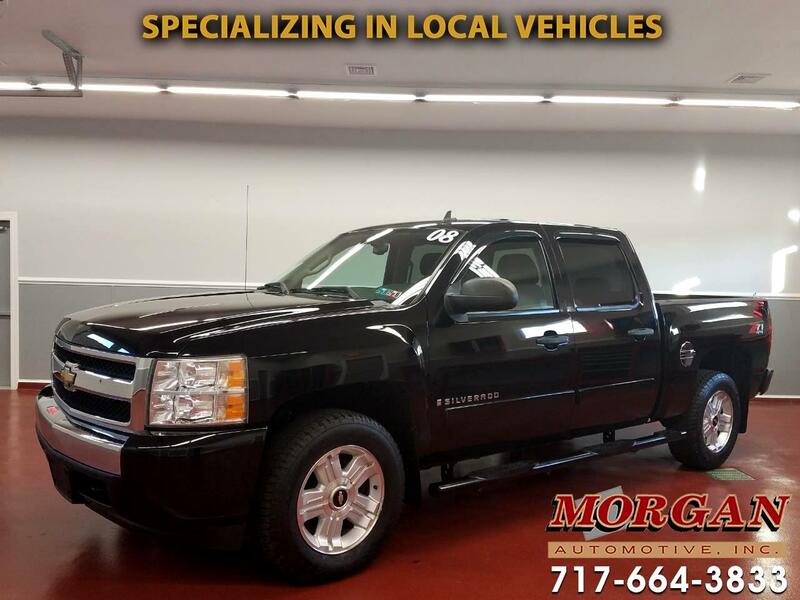 2008 CHEVROLET SILVERADO LT Z71 CREW CAB 4X4 WITH ONLY 43,000 MILES! ***CLEAN 1-OWNER CARFAX**** This is a very nice low-mileage full-size truck! It comes nicely equipped with power equipment, AM/FM/CD/AUX radio, bed liner, running boards, and hitch with 7-pin trailer connector. Has a new PA inspection, fresh oil change, and the tires and brakes are in good condition. Trades are welcome and financing is available.